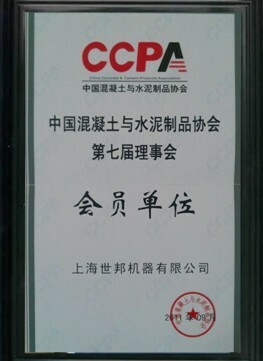 As a national association for concrete and cement products industry in China, CCPA was founded in 1986. At present, CCPA has owned a number of members over 500. The kinds of those members include cement products production enterprises, research institutions, province’s cement products associations, auxiliary products production enterprises and so on. The members cover 30 provinces and autonomous regions. Nowadays, CCPA gradually undertake the duty of drawing up industry policies and development plans. SBM always pays attention to the development of concrete industry which is the downstream industry of SBM. As a corporation with rich experience in high-tech equipment producing, SBM wants to comprehend the market news and demands of concrete and cement industry comprehensively by using the broad platform offered by CCPA. SBM also focus on improving and upgrading its products, offering better services to its customers. SBM is committed to build a convenience and efficient channel between itself and the downstream industry.